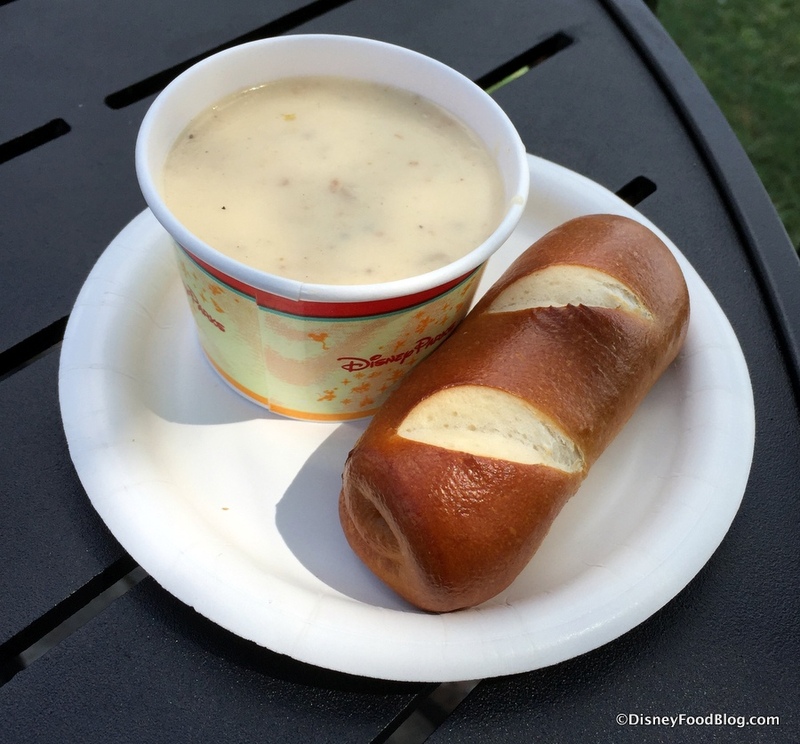 We’re looking forward to the World Showcase booths at the 2016 Epcot International Food and Wine Festival, starting September 14th! Wine and Dine Studio — NEW! Set up around the World Showcase, individual kiosks will offer international and regional dishes to enjoy. Small plates and beverages were priced in 2015 between $3-$8 and most give guests the chance to try specialty recipes from locations around the world! 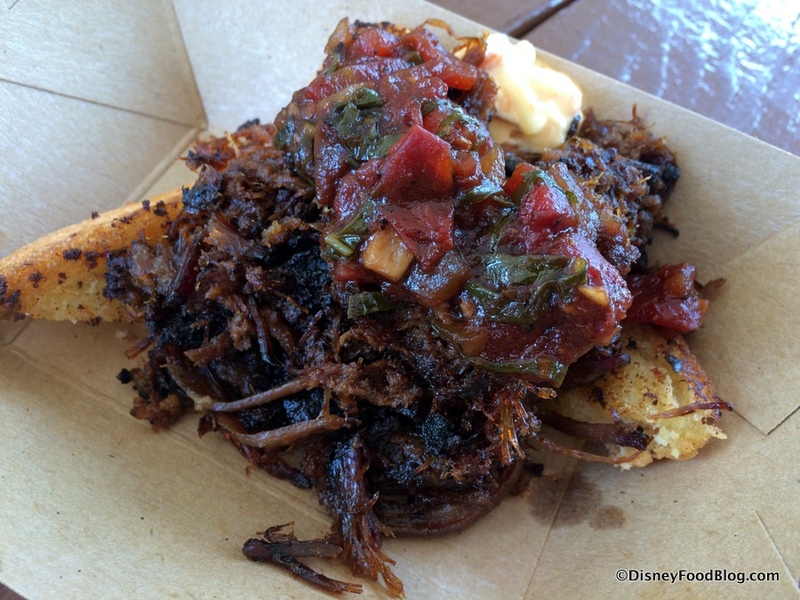 One of our favorite new items that we LOVE is the Smoked Brisket with Pimento Cheese at the Hops and Barley Booth! Desserts and Champagne will debut Moet Ice Imperial — a fun, modern twist on a classic. Ice with your Champagne, anyone? 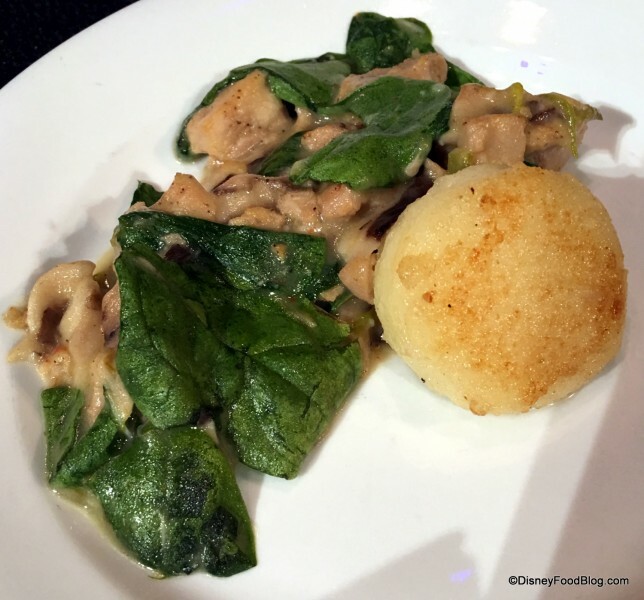 Farm Fresh debuts another comfort food favorite — Chicken and Dumplings! Canada is an extremely popular stop at the festival. 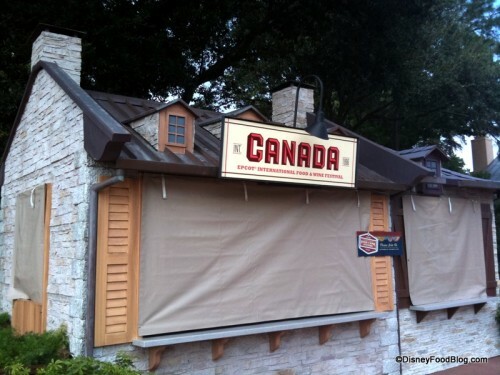 This kiosk will definitely offer the extremely popular Cheddar Cheese Soup again. And this year, it’s served with a Pretzel Roll! It’s not-to-be missed! 2015 brought changes to the size of beer portions. 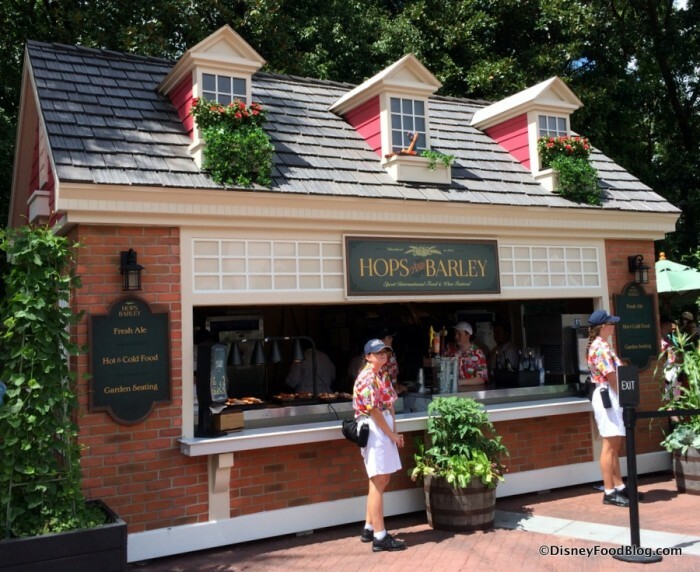 Individual beer servings topped out at 6 ounces, while flights featured four 4-ounce pours. In 2015, beer was $3 – $5 for 6oz. options, and around $9.25 for most flights. 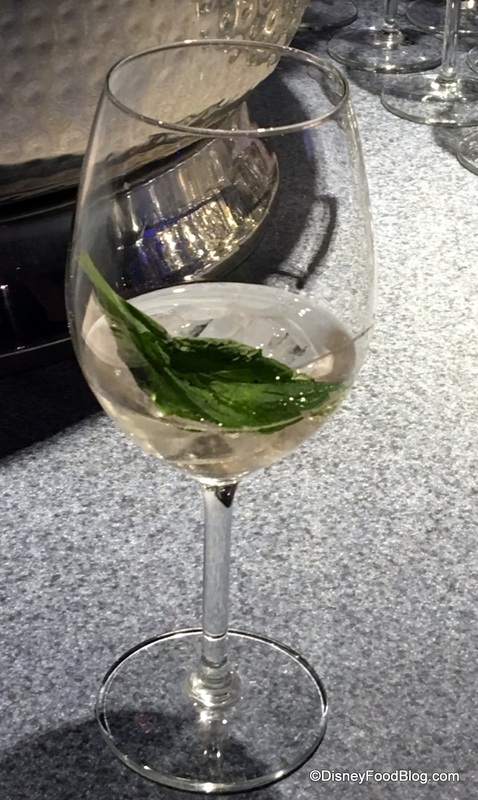 Most wines were $2.50 – $4.75 and mixed drinks averaged $7 – $9. But there may be a BIG change in 2016. Stay tuned for all of the details! Ready to order? 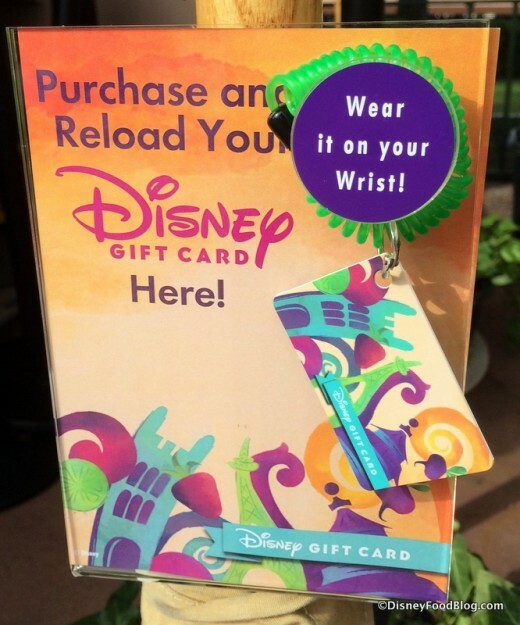 The Booths accept many forms of payment, including: cash, credit card, Magic Bands, Disney gift card, and Disney Visa reward dollars. 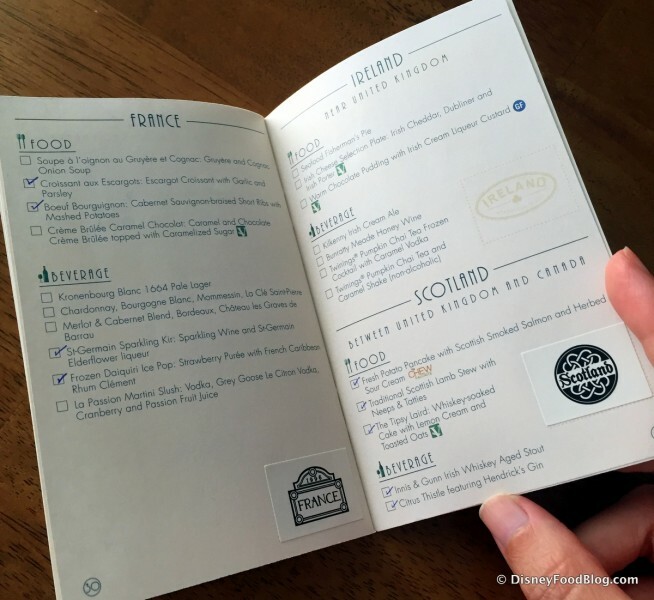 The free Marketplace Discovery Passports will also return this year. In 2016 — gluten free, vegetarian, and kid-friendly items are noted! But the stamps of previous years are gone. 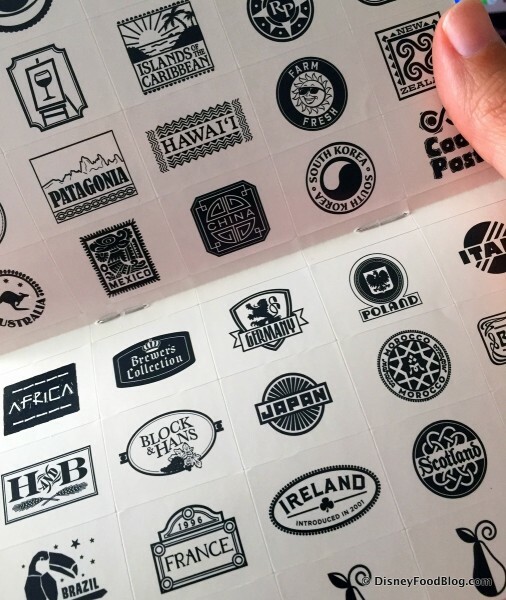 This year, stickers are included with your passport. Once you visit a booth or try an experience, add the sticker to that page. It’s that simple! Chase Disney Visa Cardholders can book select special events, demos, and seminars on July 19th as well. A limited number of seats are available for the booking date. Call 407-939-1870 to book reservations with your Disney Visa Credit Card. Start Your Planning Today! The DFB Guide to the 2016 Epcot Food and Wine Festival e-Book is now available for Purchase! Order you 2016 edition today to get started on planning right away! Don’t miss a moment of the fun! 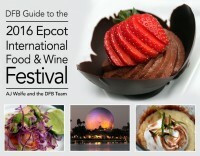 Return to the Main 2016 Epcot Food and Wine Festival Page.